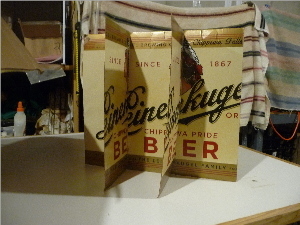 Made up some dividers for storing pilsner glasses. Cartons are 12" × 12" × 12". 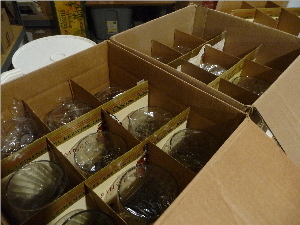 Keep these in the brew room due to not enough space in the kitchen cabinet used for beer glasses. Clean and covered with plastic wrap to have them ready for use.